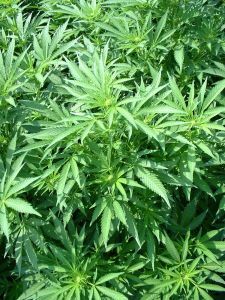 The Maryland Legislature is scheduled to begin its 2013 legislative session next month, and marijuana is one issue that is sure to be hotly debated. Medical marijuana supporters and personal use advocates alike hope that this year’s session makes more progress in the fight for decriminalization. Toward the end of last year’s legislative session, the head of the state’s department of health went on record saying that he would not support decriminalization as long as federal law continued to define pot as an illegal controlled substance. The department head cited concerns that his state employees could be subject to federal prosecution under the controlled substances act and there would be nothing the state could do to protect them. The head of any state agency has a duty to protect his or her employees, but the broader issue is also that state lawmakers want to protect their constituents as well. It would certainly not look good for Annapolis if Maryland citizens were being prosecuted federally for following a law that their own delegates supported and eventually passed. But supporters of marijuana decriminalization have hope that this year will be different based on two influential votes on this past Election Day. As readers of this blog and those who have been following national drug laws are aware, Colorado and Washington State voted to decriminalize personal marijuana use. Both states, and close to 20 others including Washington D.C. already had medical marijuana laws on the books, but this past election took the movement to new heights. Local advocates back here in Maryland are now optimistic that the legislature will consider the Colorado and Washington laws in crafting their own legislation. Obviously we cannot expect that Annapolis will jump on board with personal use decriminalization, but medical marijuana laws in this year’s session are a distinct possibility. There is no official word from the Governor’s office to date that would indicate which way O’Malley is leaning, and his future political aspirations could play into his decision to support a medical use law. A politician with greater aspirations is likely to be more conservative in his or her final years. For now though, lobbyists, grass roots advocates, and users have some reason for optimism. Marijuana decriminalization is not a new idea in Maryland, and it comes as a surprise to many that the state has waited this long to pass a medical use law. Back in 1988 popular Baltimore Mayor Kurt Schmoke testified before congress about his opposition to the War on Drugs, and his firm belief in drug decriminalization. Schmoke advocated for an education and treatment based approach to drugs, rather than an arrest and punish approach. He gained some backing both nationally and locally back in Baltimore, but his vision never caught on in Maryland. Today our state is one of the few predominately liberal states that has not passed medical marijuana laws. Perhaps the former Mayor was a decade too early, but it seems inevitable that Schmoke’s vision will become a reality within the next few years. 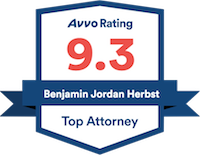 Benjamin Herbst is a marijuana lawyer in Maryland that specializes in drug possession and drug distribution cases. Contact Mr. Herbst anytime for a free consultation about your case. Advocates for medical marijuana prepare for 2013 MD legislative session, abc2news.com.